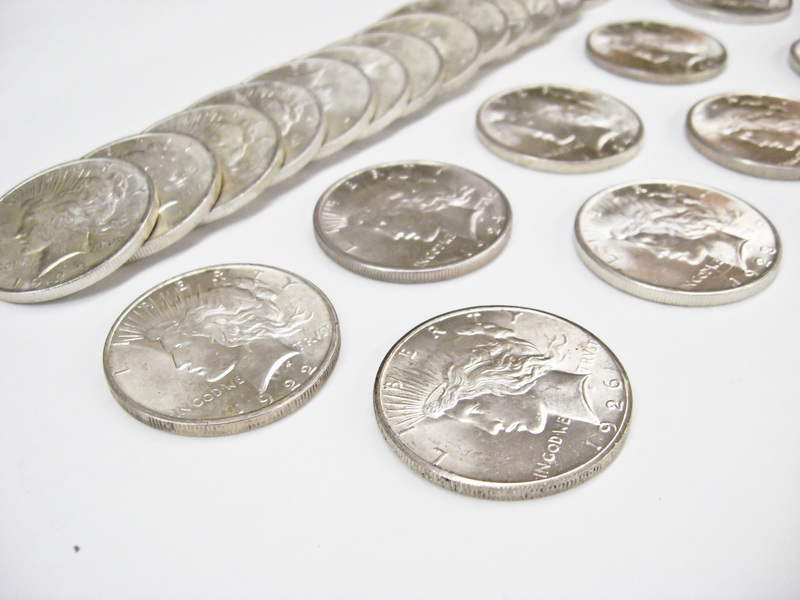 U.S. Half Dollars were created in 1794 Silver Dollars & Half Dollars were made mostly of Silver from 1794-1964. Half Dollars were made of 40% Silver from 1965-1969. 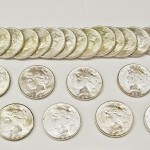 Some silver dollars and half dollars are rare and the collectable value of the coins are much higher than the value of the silver alone. 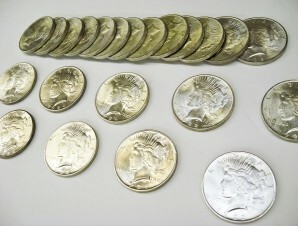 Silver Dollars & Half Dollars were made mostly of Silver from 1794-1964. 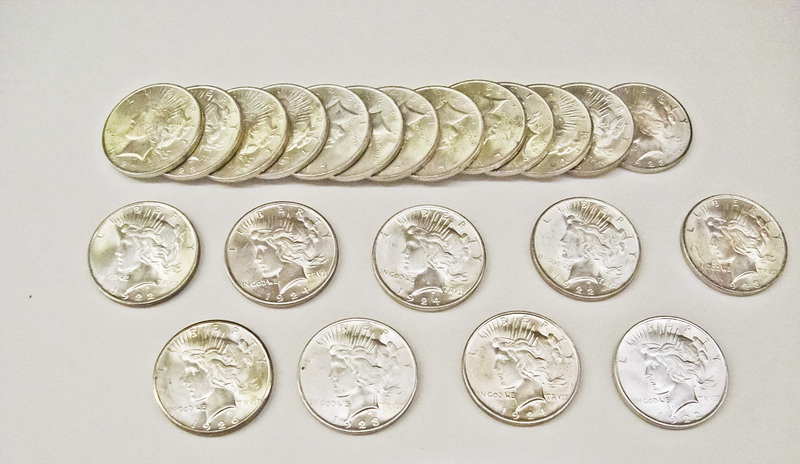 Half Dollars were made of 40% Silver from 1965-1969. 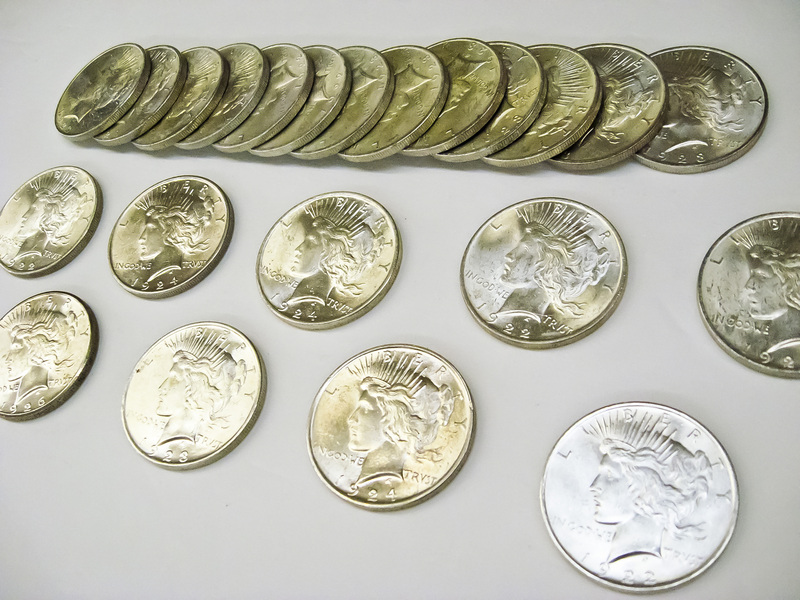 Some silver dollars and half dollars are rare and the collectable value of the coins are much higher than the value of the silver alone. The Morgan Dollar was minted between 1878-1904 and also in 1921. This Silver Dollar is one of the most popular silver dollars in U.S. hitory. It shows Lady Liberty on one side and the Eagle on the other. The coin was named after the designer, George T. Morgan. This coin rangesin value according thing to the quality of the coin. We have many Morgan Dollars of all different qualities. We have many that are uncirculated as well as many that are in circulation. These coins are great in any collection and are great gifts to any coin collector. 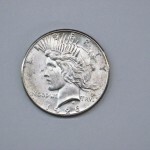 The Peace Dollar was minted during the years of 1921-1928 and 1934-1935. The United States Mint began to strike millions of silver dollars in 1921 as a result of the passage of the Pittman Act in 1918. Initially the Morgan dollar design was used, but Numismatists lobbied for a coin that memorialized the peace following World War I. A competition was held to find designs emblematic of peace, and Anthony de Francisci’s design was chosen. 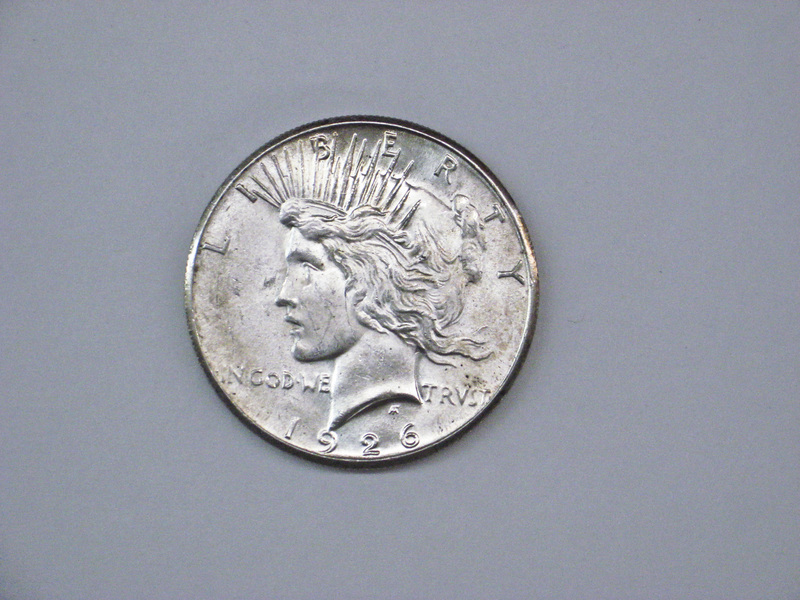 It was the last U.S. circulating dollar coin to be struck in silver. The American Silver Eagle Dollar was originally released by the United States Mint on November 24, 1986 and is the official silver bullion coin of the United States. The American Silver Eagle contains one troy ounce of 99.% pure silver with a nominal face value of one dollar. It has been produced in a bullion version, proof version, and an uncirculated version. It may be used to fund Individual Retirement Account investments.